Splashscreen, Main Menu & Character Select screen of Bounce Ball. for each character and level. 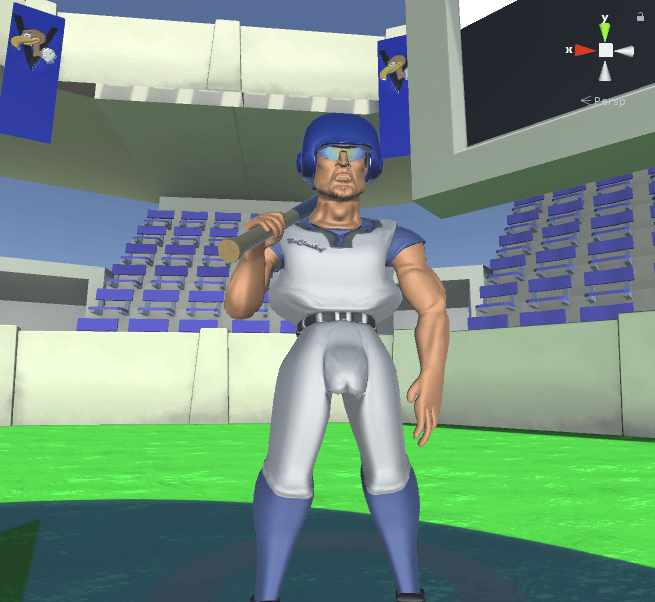 The game’s first character to be made was Stan McClusky: An old baseball veteran here to take the price in the Bounce Ball World Cup. amplified via their abilities and animations. takes the game way too seriously. Vulture Dome (left) and Luxembourg (right). Vulture Dome was the first arena we made and it’s an official Bounce Ball arena in modern style and also the home arena of McClusky. Luxembourg was the second arena and intended to be the home arena of The King, who would be the third character added, in a medieval setting. We worked for about 4 months on Bounce Ball, mostly tweaking the player mechanics of moving, swinging, and dodging. Animations were unique per character to enhance their personality traits and this was further expanded on with each character having a unique ability. My role in the development of Bounce Ball was primarily that of a scripter. these are: Damage, Dash, Data, Marker, Movement, Swing, and Ultimate. Damage handles taking damage and eventually dying, while also adding temporary invincibility and game-juice to the respawn function. Dash handles dashing, using forces. Data held all information about the character – model, team/color, playerID, weight-class, spawnpoint and its prefab to load. Marker handled the colored circle around the characters feet, helping players track their character easier and telling what direction its facing. Movement handled all things related to movement and rotation, strafing and move-locking. It did not handle the Dash mechanic. Swing handled the swinging of the bat, charging the swinging and swing-juice. Finally, Ultimate handled each players unique ability, its cooldown and some more juice. All character related scripts were handled through a Manager class. I found this method of scripting to be more manageable in terms of scoping each class down to its core necessities and increasing script readability. What I learned in the long-run was that a lot more than I previously imagined can be abstracted and even extracted to separate components. The biggest flaw, I think, is that the scripts relied on too many references that had to be passed and so I had to utilize an Initialize() method which does not seem like a good solution in classes deriving from MonoBehaviour. // Reference all required components. // Reference all required scripts. The camera, a simple helper tool, the main menu, the character selection screen, the input and match managers, and the UI. I will round up this portfolio entry with two of the scripts mentioned above. private Camera c_Camera; // Camera Component on Camera GameObject. private Transform c_CamTrans; // Camera GameObject's Transform. // Only apply camera features if there are any players. c_CamTrans.LookAt(c_Transform); // Will keep the anchor in center. // Initialise an empty Vector3 field. // add their position to the field. // to get the average position. 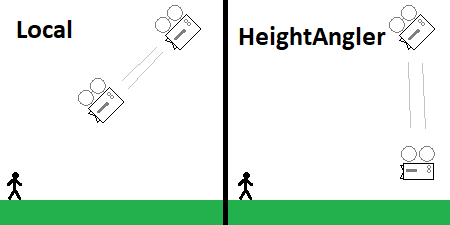 averagePosition.y = 0f; // Height is not used for this part. // Set the position excluding the y-axis value since that is only related to zoom. // This method takes a distance float and adjusts the cameras local y-position accordingly. and uses this distance to offset the cameras zoom. The camera was pretty straightforward – follow the center point of all active characters, and attempt to fit all on the screen. we decided that we would have the camera tilted up by 15 degrees. This lead me to make two different zoom functions as illustrated below. This script will handle the match phase. It will spawn players and set the camera to target them. public float m_CountdownTime = 3f; // Private for now. // Get the maps spawnpoints. // Check input for pause/unpause. // Turn on new image. // Turn off last image. // Turn on the "GO!" image. ToggleAllControls(true); // Now they are allowed to move. // Remake all of these checkers to only activate during "hp--;" to save performance cost. // Before anything else, if there is only one player remaining, the game is still over. // First, we make a new array that will store how many players each team has in the current game. int playerAliveInTeam = new int[m_Players.Length + 1]; // +1 for team "None". // Is the player connected and alive? // Add him to the correct team index of the array. // Second, we need to check whether these several players are in separate teams or not. if(teamsAlive == 0) // No other team has been found yet. else // Another team is still alive! return false; // No 'other' teams are alive. ToggleAllControls(false); // Remove control again. return "None"; // Fail-safe for now. This class takes heavy inspiration from an official Unity Example Project[Link] but has been modified to better suit the project. For a local-multiplayer party game this design really suited well. Bounce Ball was made a prototype as a school assignment, since then we have decided to remake it with a more experienced approach. I will post more when there is something to show.